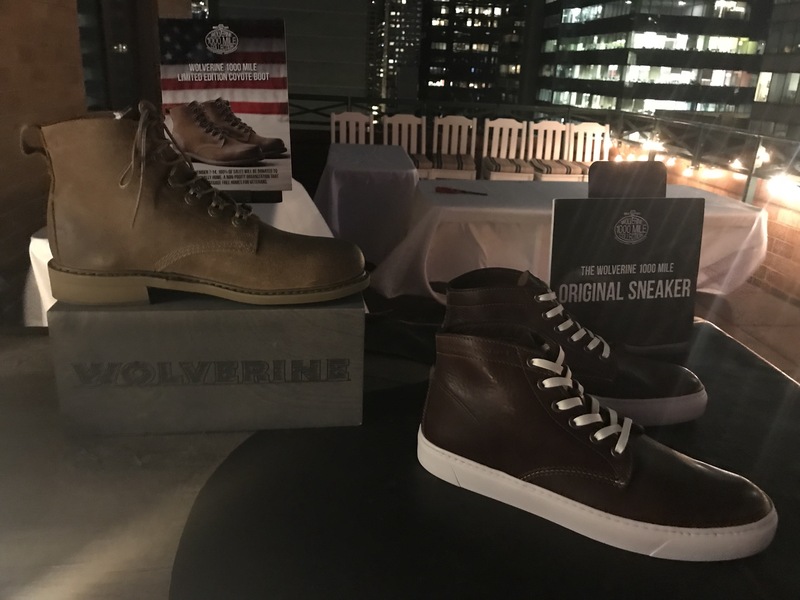 Last week I was lucky enough to go out on the terrace of Wolverine’s offices next to Carnegie Hall to check out both their winter and spring “stories.” There was a sneak peek of simple but stunning distressed black leather sneaker called The Original 1000 Mile Sneaker that won’t be available until Fall 2018 but the big news for Spring 2018 was old news–Wolverine’s 1000 Mile Boots, which have been in their line since the 1940s, are the same style as always but with new colors and stronger soles than ever! 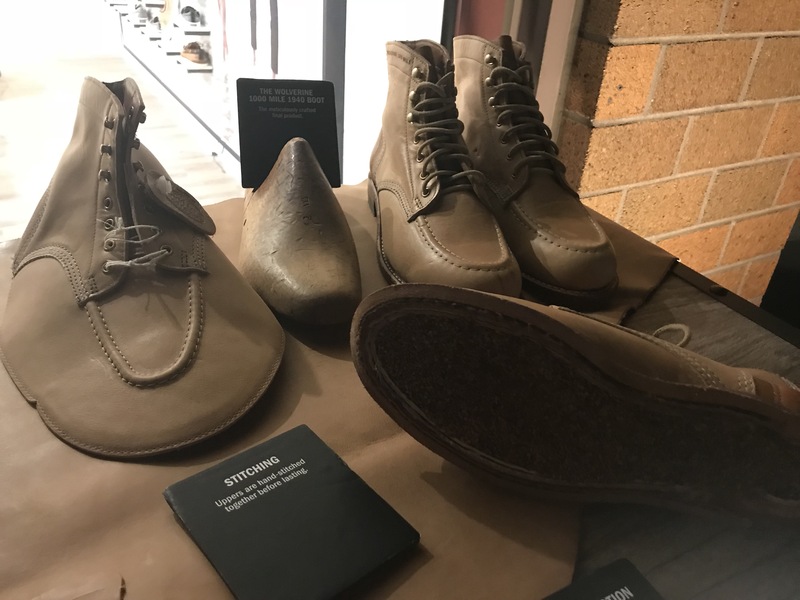 I was fascinated by the displays of 1000 Mile boots deconstructed so that guests could see each step of how they are made. There were original vintage 1940s ads for the boots in mint condition standing up on the displays and I was impressed that the company still had their old advertising on file in their large and super modern offices which also House CAT, Sperry and Harley-Davidson Footwear. Guests got to eat fantastic Mexican food concocted by Tacombi chefs right on the terrace (including salsa with a real “burn” which is just the way I like it) while they discussed the great new “old” Wolverine styles. It was great to see the ever-popular 1883 Boots which set the standards for men’s work boots way back in the day. Today, they are considered the ultimate walking boot due to the flexibility in their soles and how the leather seems to mold to your feet even though it is firm. 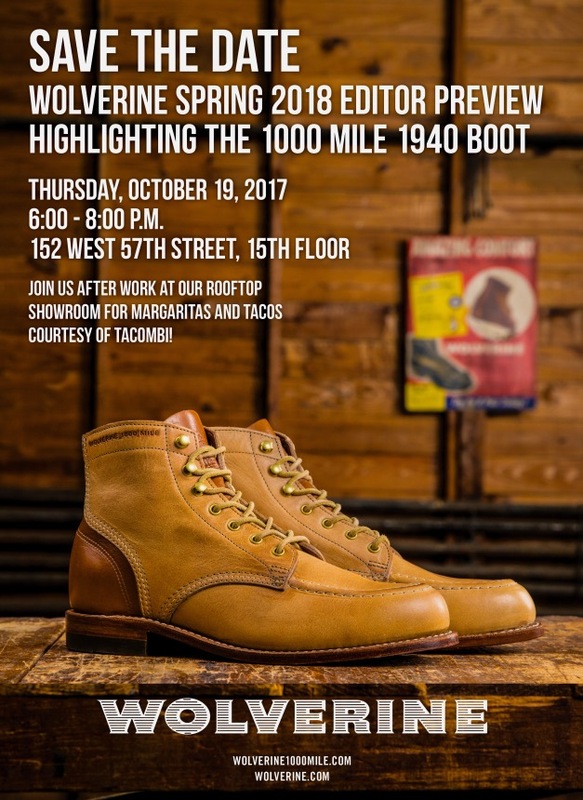 The 1000 Mile boots run $365 and are created for both men and women–but the company does pay for repairs and shipping boots back and forth to their customers. They have exclusive Goodyear soles and all products are created in their Michigan factory. Most Wolverine products are waterproof. For those who prefer Wolverine’s more feminine boots, there are a few chunky-heeled lace-up boots that hit just below the calves and work as well with pants as well as skirts. You can’t possibly find a more durable brand than Wolverine. The Wolverine “pack” has also branched out into clothing and bags, so be sure to go to www.wolverine.com check out all their new goodies. I want to note that there is also always a huge selection of the latest Wolverines at Nordstrom’s and www.zappos.com. Dr. Andrew Jacono: Helping Patients Look Their “Natural Best”!